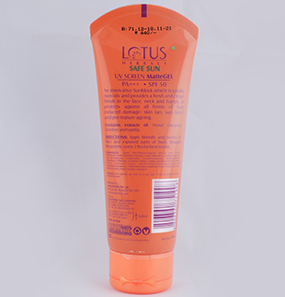 Lotus Herbals Safe Sun UV Screen Matte Gel PA+++ SPF 50 controls oil secretion while protecting your skin from UVB and UVA rays. It also reduces melanin production caused by prolonged exposure to the sun and prevents early signs of aging. 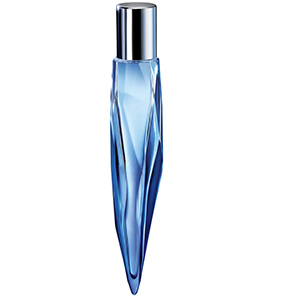 It contains powerful, natural nutrients that protect your skin while giving it the nourishment it needs. All this goodness is packaged in an orange upside down tube with an open flip lid. 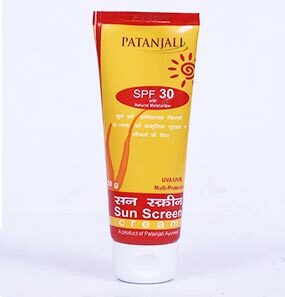 Does Lotus Herbals Safe Sun UV Screen Matte Gel PA+++ SPF 50 have any side effects? How to use Lotus Herbals Safe Sun UV Screen Matte Gel PA+++ SPF 50? 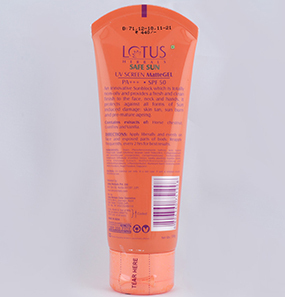 What are the ingredients of Lotus Herbals Safe Sun UV Screen Matte Gel sunscreen? Is this gel sunscreen waterproof? 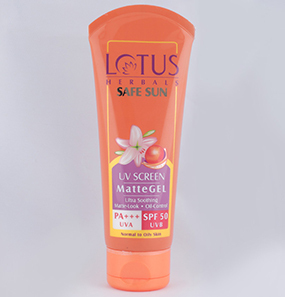 Is Lotus Herbals Safe Sun UV Screen Matte Gel PA+++ SPF 50 suitable for all skin type? Can it be applied over makeup? Isn’t it annoying to see your face bare after sweating, even after you have applied tons of sunscreen? 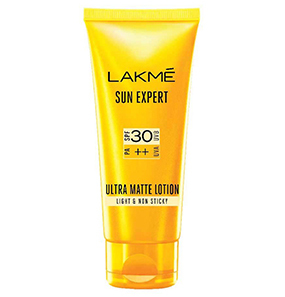 If you are looking for a possible solution to this problem, Lotus Herbals Safe Sun UV Screen Matte Gel PA+++ SPF 50 is what you are looking for. At least for me, this sunscreen turned out to be successful. However, it might not work the same for all. My skin is very oily, so much that after a few minutes of wash, it gets back to its oily state. So that’s why I try my best to stay away from cream-based moisturizers. For oily skin, gel-based formulas are the best! Ever since I got Lotus Herbals Safe Sun UV Screen Matte Gel PA+++ SPF 50, I use it twice a day daily. The gel glides on my skin smoothly and gets absorbed quickly. The packaging of this sunscreen is also very well designed. It is convenient and travel-friendly. 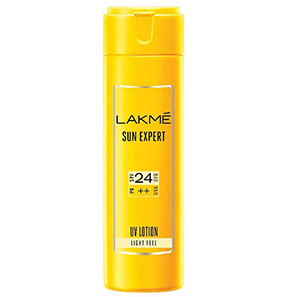 This sunscreen keeps my oiliness away for about four to five hours, which is superb! Like I mentioned earlier, even when I sweat, the layer of protection does not fade off. 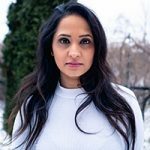 I think this explains its price. It is a keeper for sure! All my excitement for Lotus Herbals Safe Sun UV Screen Matte Gel PA+++ SPF 50 went down the drain from the first use itself. I liked the gel consistency, the mild fragrance, non-greasiness, non-stickiness, and its claims of what not. But after blending it, my skin felt a little stretchy. I let it pass, but again after a while, my skin started feeling rubbery. So, when I just rubbed through my skin, it started peeling off. I just can’t believe this! Ok, if I had dry skin, I would have understood. But this effect on combination skin is something I cannot understand. I wasted so much of my money only to be disappointed! 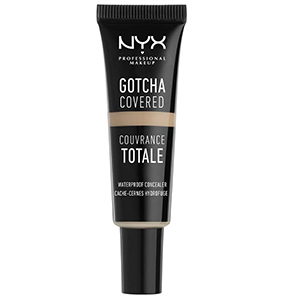 I LOVE this product so much that I’m on my third tube. I use it as a base for my makeup as well. 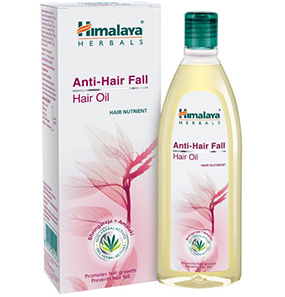 Its claim of mattifying is unlike all the other products I have tried before. Just a small quantity, and I’m set to go. I wish the price were a little low, though. There are no specific reports of any side effects, but there are possibilities of certain reactions. Since it is a strong sunscreen, you should consider doing a patch test first to avoid rashes, inflammations, irritations, redness, allergies, etc. 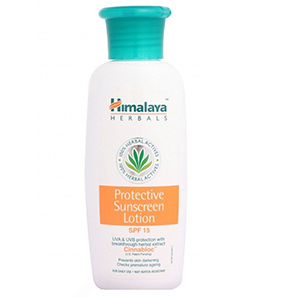 Certain precautions you should keep in mind are that store this sunscreen in a cold place where there is no direct exposure to the sun, and it is for external use only. •	Squeeze a pea-sized amount on your palm. •	Apply liberally and evenly on the face and exposed parts of the body. 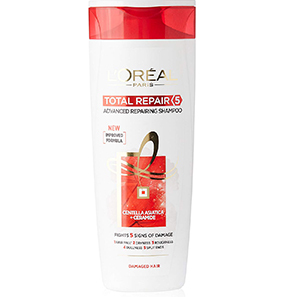 •	Reapply every 2 hours for best results. Water, Phenylbenzimidazole Sulfonic acid, Sodium Polyacrylate (and)Ethylhexyl Stearate (and) Trideceth-6, Cyclopentasiloxane and Dimethicone crosspolymer, Cyclopentasiloxane, Triethanolamine, Symphytum Officinale(comfrey extract), Vanilla planifolia (Vanilla) Extract, Horse chestnut extract, Methylchloroisothiazolinone and methylisothiazolinone, 2-phenoxyethanol, Aluminium Starch Octenylsuccinate, Methyl Paraben, Propylparaben, Fragrance. 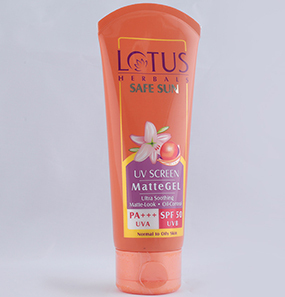 Lotus Herbals Safe Sun UV Screen Matte Gel PA+++ SPF 50 is not waterproof, but it is water resistant. The sunscreen stays put even with heavy sweating. It is suitable mostly for normal to oily skin. Dry skin types need to apply a moisturizer over it to avoid dryness. Yes, Lotus Herbals Safe Sun UV Screen Matte Gel PA+++ SPF 50 can be applied over makeup if your skin is normal to oily skin type.